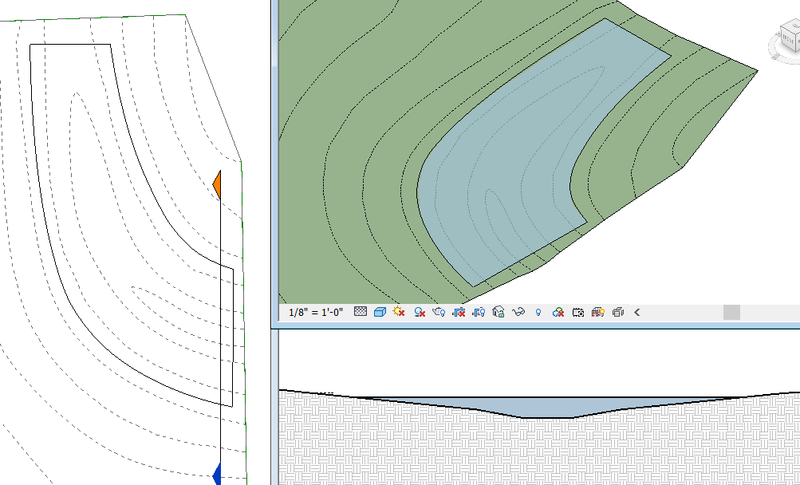 While it can be fairly simple to model architectural water features with hard edges and geometric shapes (such as pools and fountains), natural or naturalistic water features can be much trickier to model. Typical techniques used to create In-Place families or Masses as water do not work nearly so well when applied to undulating, free-form shapes. 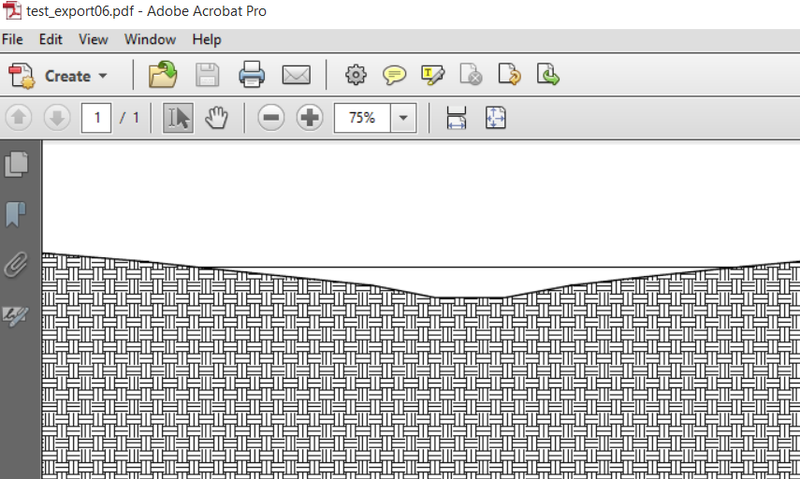 Topography, on the other hand, is one of the only native Revit elements that will easily create a “naturalistic” shape. In the past, I have worked with water on Topo mainly only as a Subregion, but how well would it work to create a separate Topo for the water itself? First, you need to start out with Toposurface with a depression. 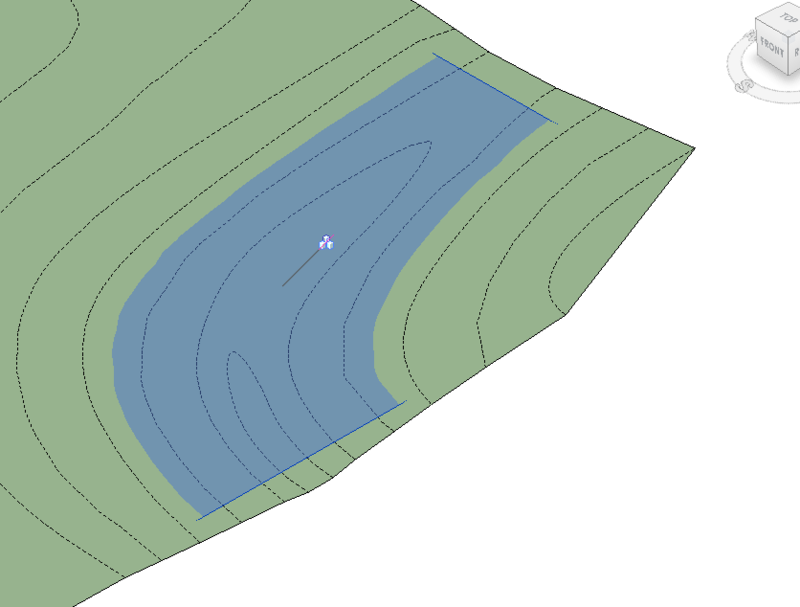 Then create another Toposurface with boundary points and outline extending past the boundary of the water body. 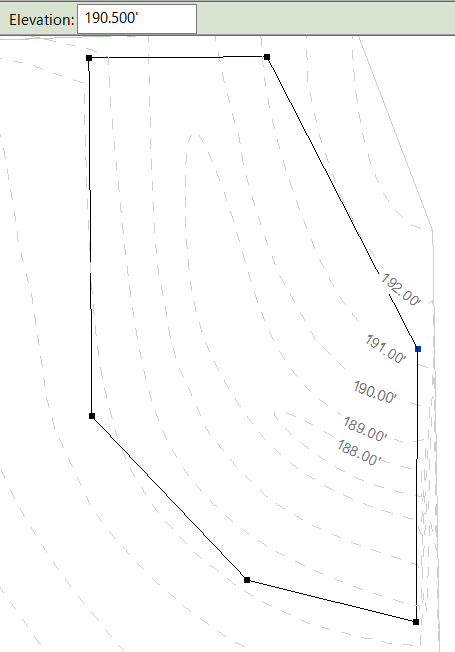 This Topo should also be entirely flat, with points only at the elevation of the water’s surface. The result in a 3D view isn’t half bad, and if you want, you can stop there. But there are a few more things that you can do if you want to pull some data out and also make it look more like water. If you place the water Topo on a later Phase than your base Topo, the Fill parameter will give you an accurate volume of the water. For example, my base Topo is created in Phase 1 and my water Topo is created in Phase 2, and the water volume (Fill) is 5018 CF. But the water does not have to remain in the future phase- it only needs to be there to get the volume. If you don’t need to have the volume most of the time then you can just put the water back onto the correct phase. And with a quick pattern override, it suddenly looks more like water. And once you have finalized the shape and elevation of the water body, you can use Split Surface to create the water edge. 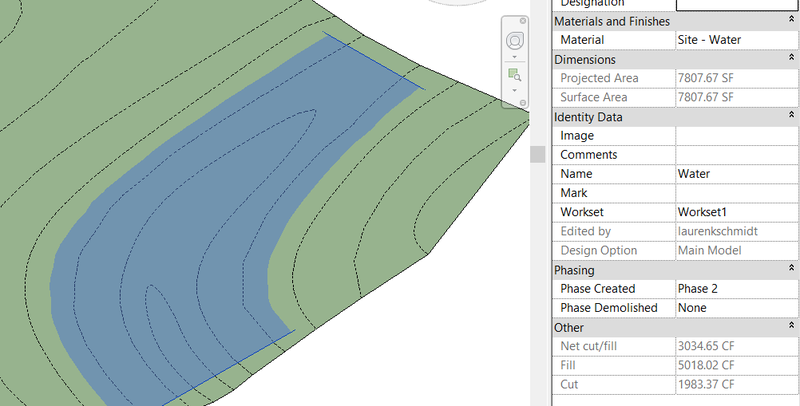 This will result in a cleaner look for both plan and section views. I would recommend using Split Surface in a view that has some color, so you can see where the two surfaces intersect. When drawing the edges, I used splines and also made sure the line was just outside the actual overlap. 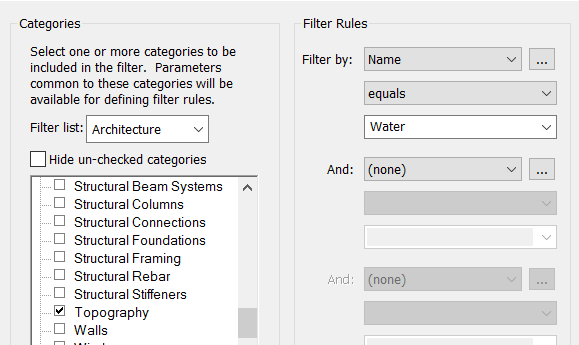 After splitting, make sure your water Topo still has the correct properties for the Filter (I had to give it the correct Name again). 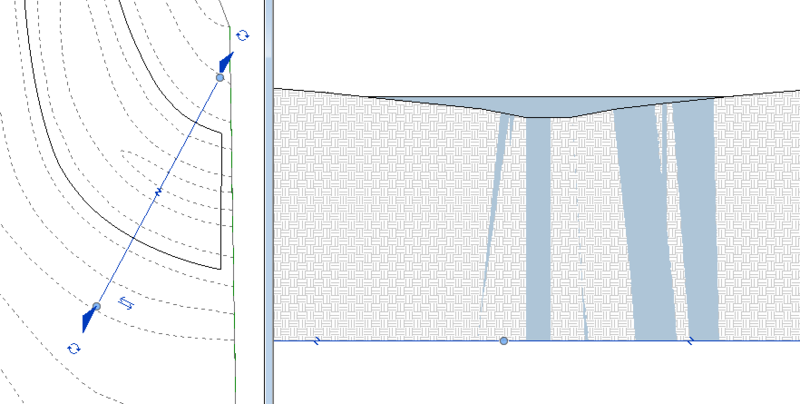 When a section is cut through the water at an angle (not orthogonal) the Topo overlap bleeds through. 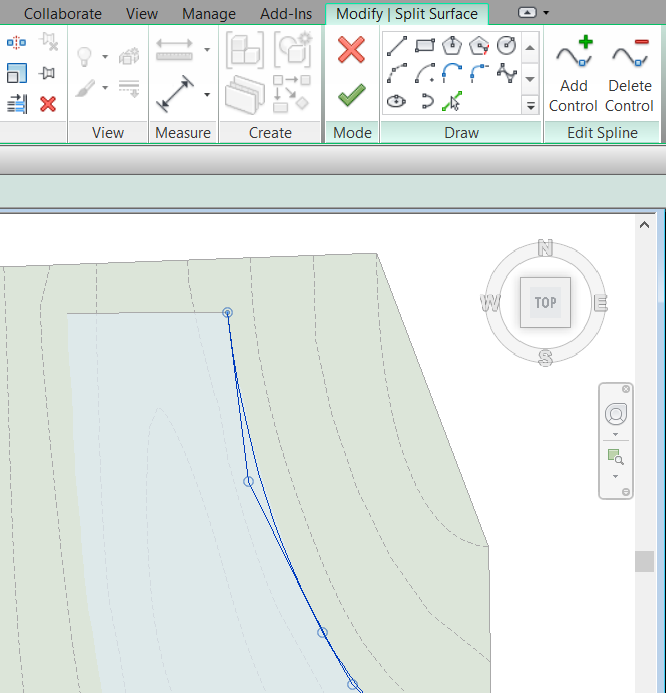 The best way I have found to deal with this is to set the water cut pattern to a white solid fill. It will still appear to bleed in the view, but when printed with vector processing, the solid fill prints behind the main Topo, so the bleed is not apparent. It also does this with the Section box, which is kind of a bummer when you have colors on. Good work. 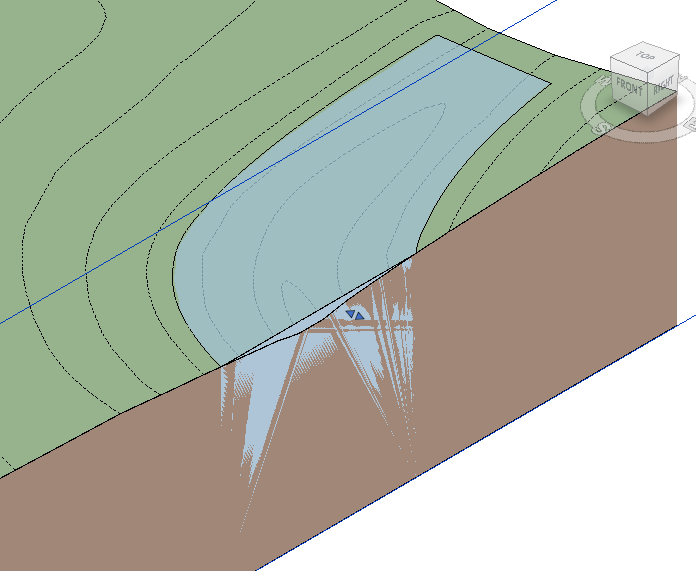 I modelled a detention basin using the topo for the basin depression, but just put a floor object in for the water. This looks like a better solution as mine didn’t work quite as well in section.